Immaculate tailoring, hyper feminine red carpet contenders, and couture worthy craftsmanship were the essence of Sarah Burton's Alexander McQueen. 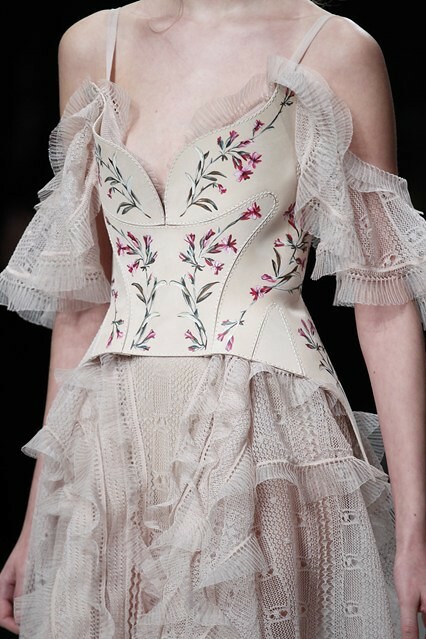 The McQueen woman this season was said to be a creature at dusk, drifting between dream and reality. Nightime creature, maybe; romantic creature, defintely.